Takeaway: High-frequency radio waves pushed into the ground alert operators to the dangers that lie beneath. GPR helps you avoid disasters and enables you to find leaking pipes. Seeing under the ground surface without digging is the ideal way to search for utility lines. Ground penetrating radar (GPR) is a method of utilizing radar pulses into the ground to receive feedback on subterranean structures. GPR is a non-destructive technique which, when used correctly, can keep construction workers from inadvertently damaging utility lines or help them locate leaking pipes. GPR uses polarized, high-frequency radiowaves to penetrate the ground surface. When the waves hit a buried object, it refracts back to the surface. The receiving antenna attached to the radar records the data. If there is nothing for the waves to reflect off, they merely dissipate into the soil. The overall penetration depth of the detector depends on the material the waves are passing through and the machine sending the signals. The time it takes the pulse to travel to and from the target signals not only its depth but also its location about the radar. The system computes and displays the data on the screen for the operator to see. Despite leaps in technology, currently, GPR system doesn't give a clear image of the underlying substance. Operators must interpret the data on the screen to determine what the signal found. Different substrates affect the GPR waves in varying degrees, which is why it is essential to have a trained technician operating the radar. Technicians have discovered many different uses for ground penetrating radar since its creation. 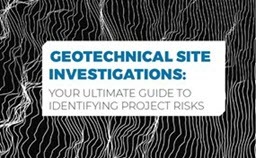 For the field of trenchless technology, the operational methods for this tool offer a noninvasive method of locating hidden items which may have proved problematic in the past. Using the acoustical characteristics of GPR, the technician can also determine if an underground pipe is leaking. As the radar waves penetrate the soil, it detects the pipeline as a buried object. Any leaks coming from the line are read as a void in the surrounding area. Workers can mark these areas for repair. Sometimes the repair or replacement of lines doesn't occur in the soft ground, but instead underneath the concrete slab. Locating the damaged line is a difficult task which is where soil penetrating radar plays a part. Unfortunately, GPR doesn't give a clear picture of what is beneath the surface, so the technician must interpret the item. GPR trained technicians can determine if the anomalies on the screen are rebar, electrical services, or leaking pipes. When scanning an area, technicians extrapolate the data and can accurately predict the center of an object +/- ¼”. They can correctly identify how far down the object is with an accuracy of +/- 10-15%. Unlike using x-ray techniques, GPR only needs access to a single side of concrete which makes it the perfect tool to locate conduits and pipes in a slab-on-ground applications. The benefit of using GPR for concrete imaging is unlike using x-ray methods to detect hidden items is there are limited health risks. X-ray users are aware of the hazards of radiation exposure and understand the routine of removing as many people from the premises as possible before beginning a scan. As GPR doesn't use radiation for ground penetration purposes, this health risk is eliminated. Developers are working to develop an updated version of ground penetrating radar. This newer “cognitive” GPR responds with video-game-like imagery. The scan knits together geographic space into a three-dimensional image like those completed by a 3D-scanning smartphone application. The concept will give users a look at exactly what is underneath the surface with a detailed picture. While the work at both universities is still under development, their improvements on ground penetrating systems are necessary. Even with technology improvements over the last few years, on average, construction workers hit an underground utility line every 60 seconds. This error costs the constructions companies in the United States billions in damage repair costs each year. As technology advances, GPR accuracy will continue to improve. It remains one of the best methods for trenchless construction and rehabilitation workers to identify underground utilities and pipelines accurately.